BMW 3 series Used Cars in Chennai : Largest collection of VERIFIED BMW 3 series Used Cars in Chennai for sale. Buy / Sell Secondhand BMW 3 series Used Cars in Chennai. It's FREE. Buy BMW 3 series Used Cars in Chennai of your choice from cars listed in this page. If you want to purchase low cost, good condition, accident free BMW 3 series Used Cars in Chennai, visit the following listings. 2 BMW 3 series Used Cars in Chennai found. 58000 Kms | 2012 | Diesel | Ashok Nagar | Chennai | Tamil Nadu. 126005 Kms | 2010 | Diesel | Anna Nagar | Chennai | Tamil Nadu. BMW 3 series Used Cars in Chennai ads are posted by different genuine sellers. 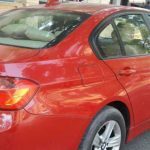 We created this website listed with BMW 3 series Used Cars in Chennai ads for free of cost to help used cars buyers and sellers. 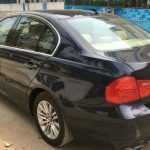 Please share this BMW 3 series Used Cars in Chennai listings page to social networks and support us in favour for our free service to you.